The day has long gone when doctors made house calls. One of the last of Ridgefield’s “old-fashioned physicians” was Dr. James Sheehan, Ridgefield’s first pediatrician, who ministered to the health needs of countless young Ridgefielders over a 43-year career. James Ennis Sheehan was born in Brooklyn, N.Y., in 1922, one of 14 children — his father was a physician and a brother, Dr. George Sheehan, was a marathoner who wrote eight books on running and fitness. He grew up in Brooklyn, graduated from Manhattan College and joined the U.S. Navy, which sent him to medical school. He served as a physician in the Navy at the end of World War II and during the Korean War. 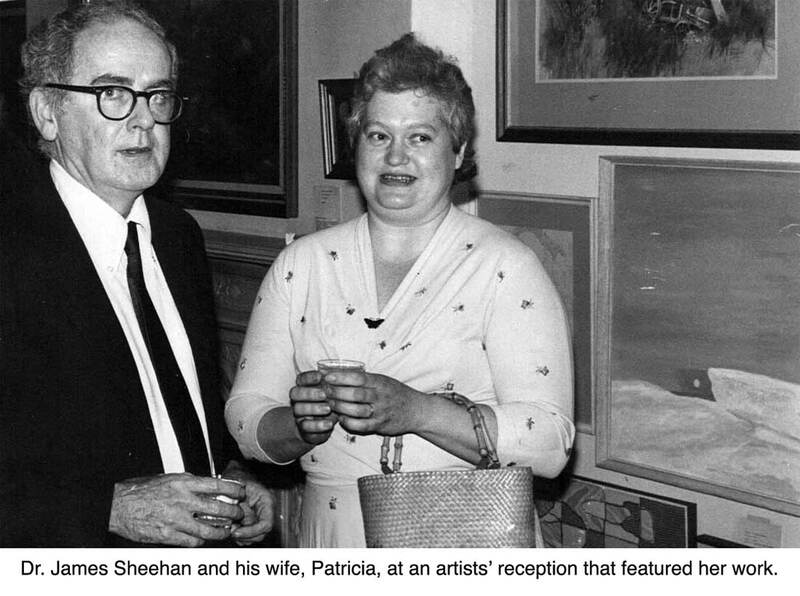 After completing service and interning in New York, Dr. Sheehan and his wife, artist Patricia Sheehan, came to Ridgefield in 1955, drawn by the recommendation of fellow naval officer, Dr. Theodore Safford, who had come here in 1951. There were only four doctors in town then; now there are dozens. When he came to town, Dr. Sheehan was Ridgefield’s first and only pediatrician. But Ridgefield’s population was growing quickly, and with it the number of children. In 1965, Dr. Sheehan took on Dr. Christine Guigui as a partner to help handle the increasing need for pediatric care. While he may have been overworked and underpaid, he never neglected his patients. Far from it. Attorney Rex Gustafson remembers that, as a child of six or seven, he was hospitalized with pneumonia in the days before hospitals had TVs in the rooms. “I was staring at the four walls,” he said — until Dr. Sheehan showed up with his own family’s portable TV set for him to watch. Dr. Sheehan was affiliated with both Danbury and Norwalk Hospitals, and at the latter, was a founder of the Pediatric Unit and served as director of pediatrics. For several decades, he was also Ridgefield’s school physician. He retired in 1996. For his last years of practicing, he was a partner in Ridgefield Pediatric Associates. He died in 2003 at the age of 80.